Is Drinking Apple Cider Vinegar is Good for Your Health? Let’s face it; there are many controversial natural remedies to be found on the internet. To make a wise decision regarding supplementing you diet, one must really do your research to find accurate information, reliable references, and honest testimonials. However, some wellness trends have definitely stood the test of time. One of these is drinking apple cider vinegar. Apple cider vinegar, or ACV, has become one of the most popular, natural cure-alls for health, claiming benefits ranging anywhere from whitening teeth to helping with heartburn. How much of this is true and factual? Let’s take a closer look at some information that has emerged regarding apple cider vinegar. There are quite literally hundreds of benefits linked to drinking apple cider vinegar indicating that it provides both internal and external healing to the body. It is also a potent and inexpensive household item used for non-toxic cleaning. However, its most powerful ability may be at cellular level where some repair may happen in a very short amount of time. This is something many conventional and even pharmaceutical grade medicines are unable to do. Drinking apple cider vinegar may work within minutes of consumption, depending on the specific ailment. The overall miracle of drinking apple cider vinegar is in the healthy microbiome it provides for digestion as well as its alkaline pH that keeps your body from becoming too acidic. The prebiotics in the ACV feed the probiotics, keeping a healthy balance in our digestive systems. Acid levels in the body that are too high may result in a number of negative effects. Just How Important is Your Body’s pH Level? Let’s go back and visit the alkalizing effect we mentioned that drinking apple cider vinegar provides. By definition, vinegar is acidic. You cannot label vinegar as such in the USA if its acidity level is not at least at 4%. Oddly, unlike other vinegar, and although acidic in nature, apple cider vinegar promotes an internal alkaline environment once consumed. Many illness-causing viruses and bacteria cannot thrive in this type of environment and die before causing complications. Some controversial theories have evolved around the concept that cancers cannot survive in an acidic environment. No conclusive evidence has thus far come to light regarding this. Drinking apple cider vinegar may not cure cancer, but its alkalizing power definitely has many benefits. Fact: The average stomach is usually at an acidic pH level of 1.0 to 2.0. Battery acid is usually at a 1! This unhealthy acidic level sterilizes the gut flora system and kills all the microbes. When this system begins to shut down, the “bad” bacteria manifests causing bloating and indigestion, a decrease in the absorption of nutrients, and even promotes certain types of cancer. ACV helps neutralize the acids, creating a more stable system for nutrients to process properly. An acidic body is known to take calcium from the skeletal system, which may lead to osteoporosis or loss of bone density. Testing on lab rats has also shown that drinking apple cider vinegar may increase the rate of calcium absorption by the intestines. Calcium is extremely important for the body and helps prevent the onset of osteoporosis. One of the most popular reasons for drinking apple cider vinegar is its correlation with diabetes and the lowering of blood sugar levels. Will it cure the disease? No. However, studies focused on pre-diabetics have shown results that many might say are “too good to be true”. Blood sugar levels were known to fall, and stay down. The test group who were pre-diabetic showed the most promising results from ACV consumption. Similarly, the blood sugar levels in those with type-2 diabetes as well as in those who were insulin-resistant were also slightly lower. This gives a sure indication that drinking apple cider vinegar can indeed be a great tool to be used by diabetics in assisting with their overall wellness, along with a healthy lifestyle. Since glands in the body, such as the adrenals, function best when blood sugar levels are kept at a steady rate, drinking apple cider vinegar may have a small benefit on your adrenal health. To be honest, there is no magical elixir for quick weight loss. A well-balanced lifestyle that includes a healthy diet and exercise helps you maintain a healthy weight. However, you can enhance your weight loss by incorporating certain ‘ticks’. 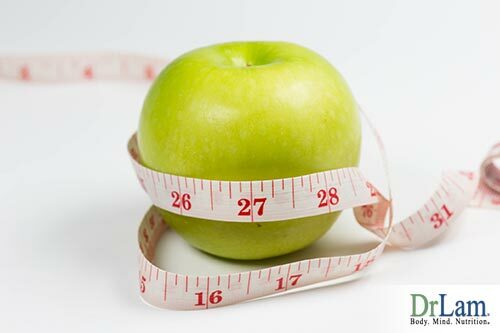 Apple cider, for example, has been shown to provide a boost in metabolism, which is extremely important and effective when trying to lose weight. It increases AMPK, an enzyme that is naturally found in our bodies. AMPK is responsible for increasing the fat burning process and decreasing the production of fat and sugar in the liver. Apple cider vinegar has been considered an aid in shedding pounds for many years, and evidence has now shown it can indeed help, as modest of a dietary change that might be. Dental professionals do not agree with ACV’s benefits concerning dental hygiene. Many cringe when people put such a harsh acid on their teaming, claiming it is detrimental to dental health. Nevertheless, when it comes to bad breath, drinking apple cider vinegar can be of great help as it can fight bad breath developing from within the gut. It also works as a great cleaning agent for your toothbrush by killing germs. When it comes to skin, hair, and nails, apple cider vinegar is often a home remedy that is under-utilized. Instead of reaching for chemical-laden creams and medications, many people are now opting for simple, all natural solutions to their ailments. 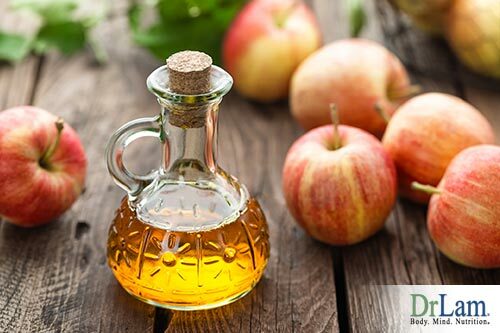 Bug bites: Apple cider vinegar is excellent for treating bug bites and eliminating the associate itch, especially mosquito bites. To treat insect bites, pour two cups in a bathtub and soak. Dandruff: The acidity of ACV can relieve symptoms of dandruff by sloughing away the loose skin on the scalp. Antifungal: Apple cider has antifungal properties. It works great in treating fungal conditions such as ringworm, jock itch, athlete’s foot, and toenail infections. Many dermatologists do not recommend it for normal daily skin care due to its high acidic composition. They do find it beneficial in treating acne, skin infections, and dark spots, however. It is recommended to exert caution when using vinegar on your skin as it and can dry or severely burn the epidermis. Always dilute it and use a cotton swab for applying it directly on skin ailments. Drinking apple cider vinegar to fight colds and flu associated with chronic coughs and sore throats can be dated back starting with the father of modern medicine, Hippocrates. Apple-cider vinegar and honey used together or separately are effective and safe cough remedies. They are as effective as their conventional over the counter affiliates without the dangerous side effects of such ingredients as dextromethorphan and expectorant. When using apple cider vinegar medicinally, you will want to dilute it to prevent burning the throat and esophagus or irritating the stomach. Many physicians are concerned with the possibility that inhaling the liquid may damage the lungs. Caution must be exerted when choosing this route of treatment. While many people turn to over the counter options to heal these ailments, it’s not always the wisest choice as synthetic, chemical-based ingredients that our bodies don’t recognize can contribute to even more inflammation. It is absurd to believe that by only using apple cider vinegar you can heal the entire body, but many foods working together can definitely be potent enough to cleanse the body’s cells and bring added relief. Oddly, many studies have been conducted on rats and ACV, but few on human consumption. Studies in rodents have shown apple cider vinegar does lower blood pressure, triglycerides, and total cholesterol. Although the data is lacking, it has long been thought that ACV enhances cardiovascular health due to its antioxidant properties. Cancer? Tests have shown that some types of vinegar have positively inhibited the growth of human leukemia and other types of cancer cells. In rats, studies have shown that tumors have been reduced by adding rice vinegar to water and foods. 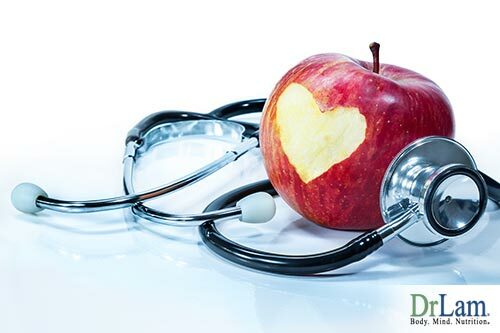 Again, will ACV cure or prevent heart disease and cancer? There simply is not enough evidence to prove this. There is, however, sufficient evidence suggesting it can be used as a tool in fighting many chronic conditions. The basic apple cider vinegar and honey combination. This is by far the simplest way to consume ACV. Add 2-3 tablespoons raw apple cider vinegar and 1 tsp honey to 1 pints of water. Shake well and drink. Apple Cider Vinegar Juice. Start with 1 1/2 cups of cold water. Add 2 tbs apple or grape juice, 2 tbs apple cider vinegar, 1/2 tsp of cinnamon, and 1/2 tsp stevia. Apple Cider Vinegar Tea. Mix 12 ounces hot water, 2 tablespoons lemon juice, 2 tablespoons apple cider vinegar, 1 tablespoon raw honey, and 1 teaspoon ground cinnamon. Tangy Berry Mocktail. For some real apple cider vinegar fun, try adding this drink to your daily routine. Place 2 cups of very ripe strawberries, cut and quartered, into a shallow dish and cover with ½ cup of apple cider vinegar. Mash the berries, cover, and let it sit for 24 hours. Strain the berry-vinegar combination and discard the solids. Add 12 fresh mint leaves and a few slices of strawberries and press down firmly to tear the leaves apart. To serve, use 2 tablespoons of the newly flavored vinegar to seltzer water, and enjoy! Zingy Cranberry Apple Cider Vinegar Drink. Stir together 1-2 tbs Apple cider vinegar, 2 tbs. cranberry juice, 1 1/2 cups of water, and 2 tsp. of maple syrup. Super Pink Juice. Combine 1 1/2 cups fresh pink grapefruit juice, 1-2 tbs apple cider vinegar, and 2 tsp. of raw honey. As with any health regimen, there are precautions to be aware of when drinking apple cider vinegar. Aside from all its greatness, it is still an acid and needs to be used carefully. It must be diluted to avoid erosion of tooth enamel or burning of internal or external body parts. Remember, the testing of ACV and its benefits are still undergoing research and there is much still to test and be learned. If you choose to try apple cider vinegar, it is always wise to consult with your health care professional or nutritionist. Vinegar may amplify or change the effects of medications. Its effects may be different for everyone, but overall, apple cider vinegar is a much-loved home remedy that many people swear by. It is not recommended that you use or rely on it to significantly alter or prevent any health conditions until further research has been published. Use apple cider vinegar with care.